Get ready to fly like a bat...back into the LEGO® world with the upcoming film, "The LEGO® Batman Movie" as it heads into theaters February 10th. 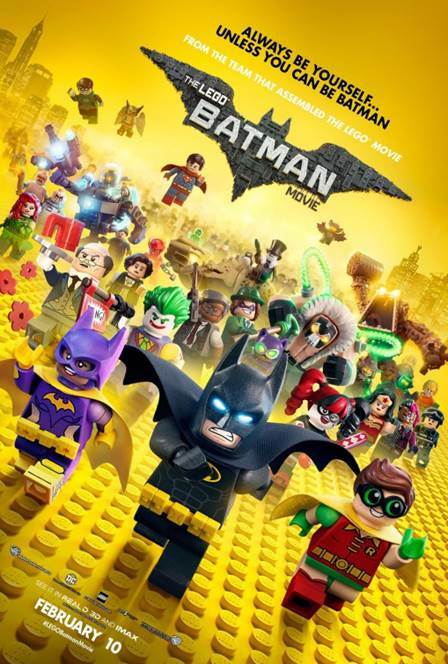 In the irreverent spirit of fun that made “The LEGO® Movie” a worldwide phenomenon, the self-described leading man of that ensemble – LEGO Batman (Will Arnett) – stars in his own big-screen adventure. But there are big changes brewing in Gotham, and if he wants to save the city from The Joker’s (Zach Galifianakis) hostile takeover, Batman may have to drop the lone vigilante thing, try to work with others and maybe, just maybe, learn to lighten up. The kids and I are so excited for this movie...stay tuned to the blog as we find ways to enhance this highly anticipated film with fun LEGO® inspired treats, gear and more! Rated: PG for some rude humor and some action. Enter here for a chance to win a family 4 pack of tickets to The LEGO Batman advanced movie screening at AMC Town Square on Saturday, February 4th at 10:00 am. 10 winners will be selected and notified on Thursday, February 2nd at 12pm PST.